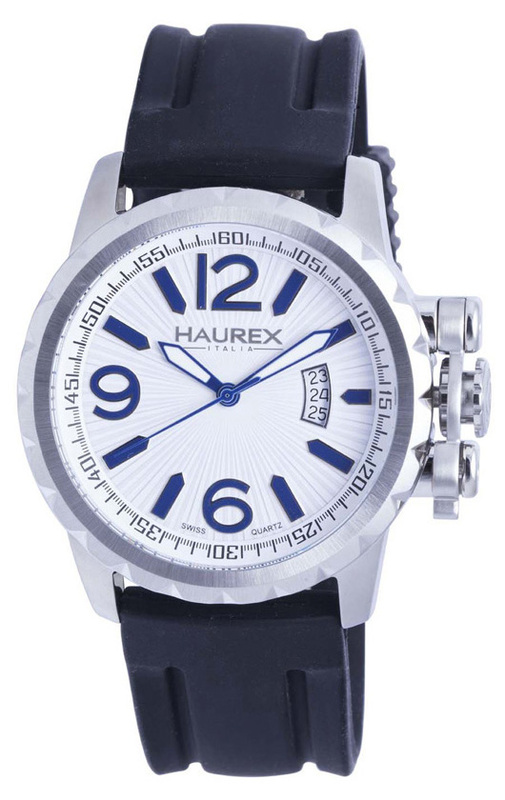 Haurex has developed a well-deserved reputation for its ability to translate the latest fashions into trendsetting watches that are both fashion-forward and extremely wearable. 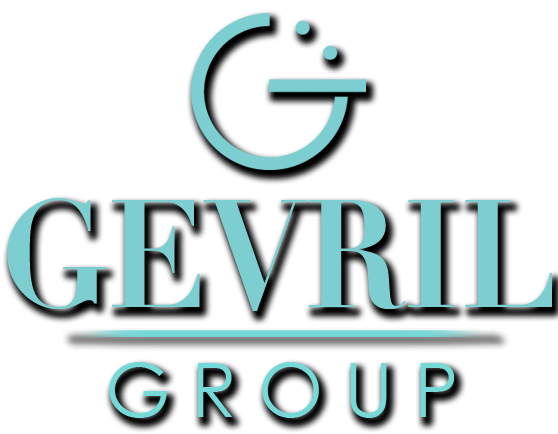 As every fashionista knows, the latest fashion often involves taking something old and making it new again. That’s exactly what Haurex has done. 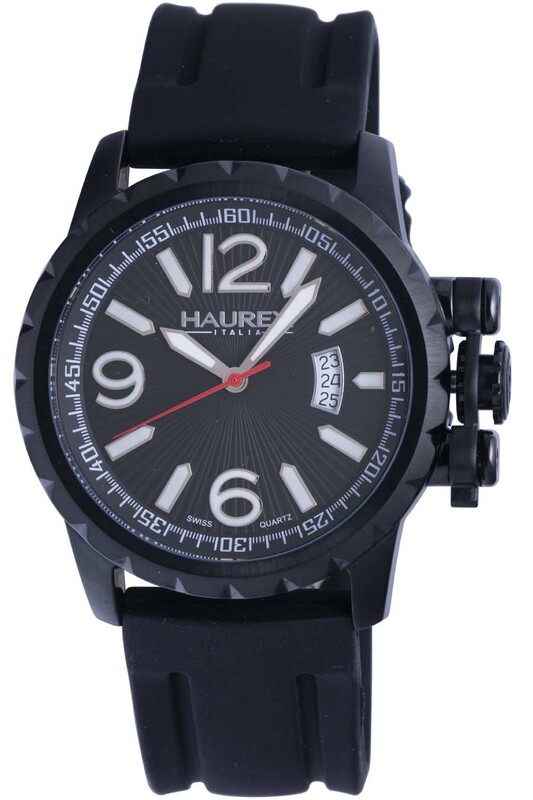 If you love fine watches, we think you’ll agree that the Haurex re-make of its classic Aeron design looks just as good on your wrist today as it did when it was initially introduced. 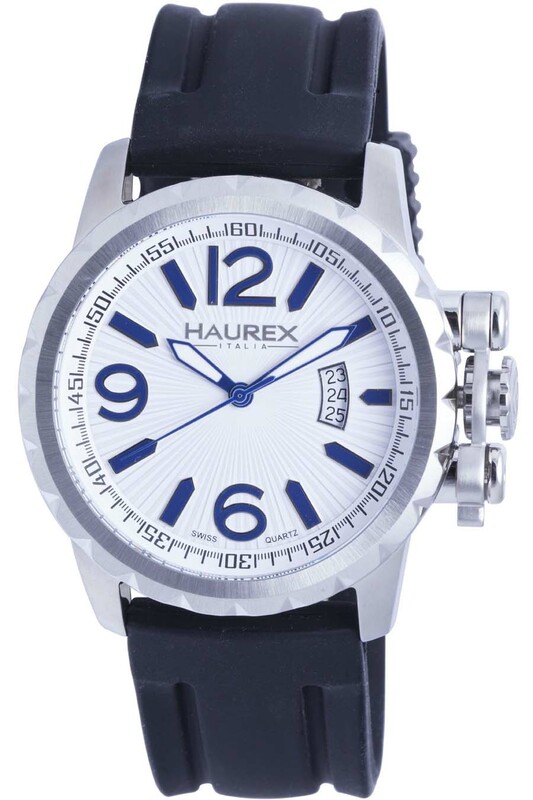 The oversized 47 mm Haurex Aeron features a classic three-hand configuration with large luminous Dauphine hands and a spectacular dial that utilizes bold, oversized Arabic numbering which makes the watch easy-to-read under any lighting conditions. With a clearly legible 60-minute scale on the chapter ring and an oversize date window at 3 o’clock, this distinctive design is ideal as a pilot’s or driver’s timepiece. 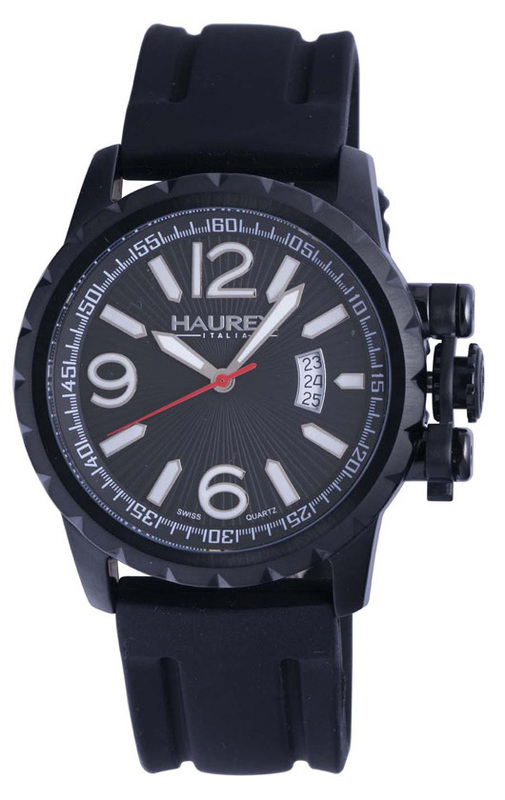 The recently re-introduced Haurex Aeron Watch Collection is now powered by a precision Swiss made quartz movement and is water resistant to 170 feet. 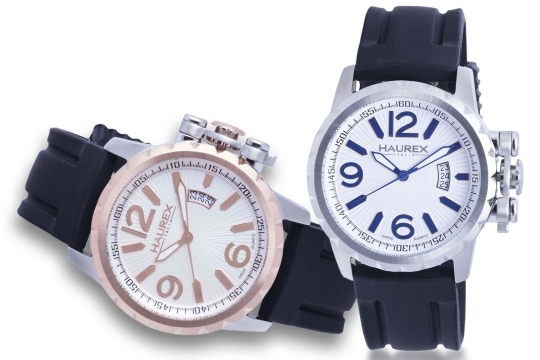 This contemporary sports watch has been equipped with an extra soft 25 mm wide rubber strap that’s a joy to wear. 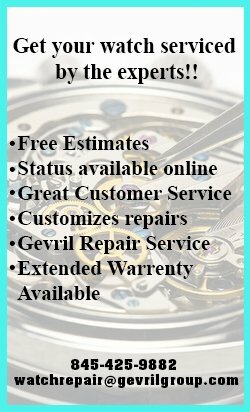 The watch is available in IP rose gold, IP gray and IP black versions, all featuring the Aeron’s boldly styled locking protected crown. 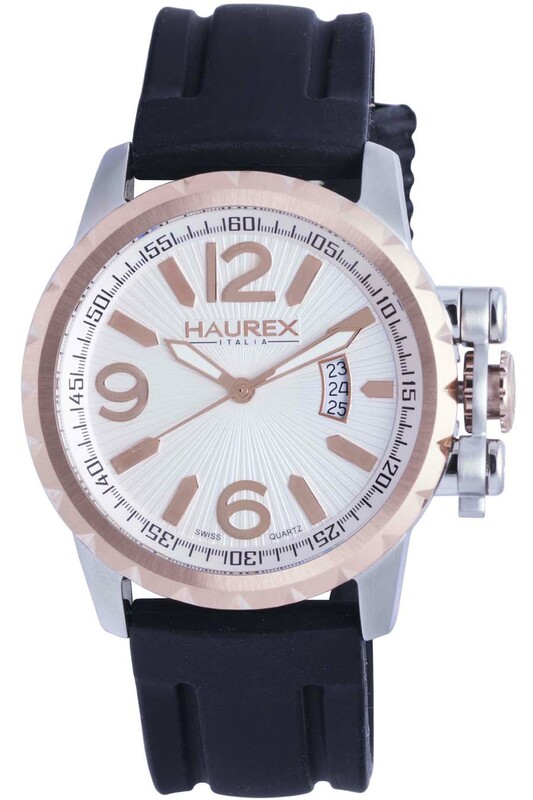 The stylish Haurex Aeron proves once again that Haurex doesn’t just create trends, it can re-create them as well. The young brand that was founded by Maurizio Bianchini and Giuseppe La Guisa in Bologna, Italy just 24 years ago continues to make the best of Italian design both affordable and fun. If you’d like to see what this timeless design looks like on your own wrist, just contact your nearest authorized Haurex watch dealer and ask to see the Haurex Aeron Collection.